On average, water makes up 60% of the human body. Not only is water a part of our bodies, it’s also a part of our landscape—more than 70% of Earth’s surface is water-covered—and our imaginations. 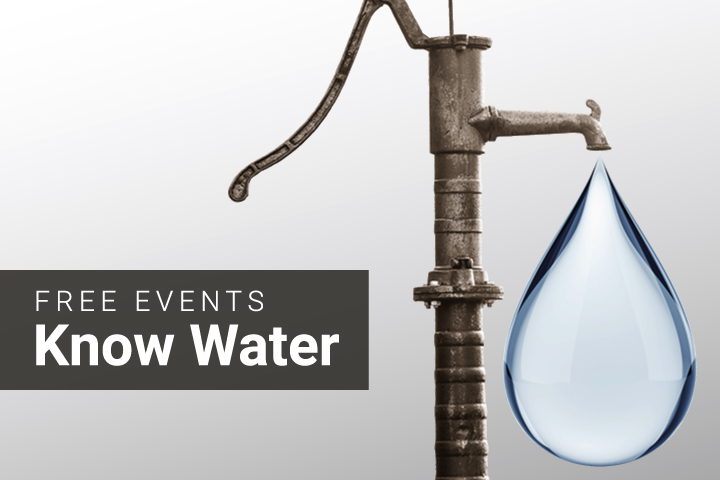 Join us throughout November at Deschutes Public Library when we celebrate all things water. Create with watercolors, talk about river restoration, celebrate the heritage of Bend’s Water Pageant, and learn about hydroponic gardening. All programs are free and open to the public; registration required for programs marked with an asterisk(*). If you ever wanted to try watercolor, but were hesitant due to cost of art supplies, this is the class for you. All of your paint, paper and brushes will be supplied and go home with you. Introduction to the basic techniques of watercolor include how to apply the paint, load the palette, tape the paper, manipulate the brushes (flat and round) and the techniques of laying down line and areas of color called washes. Instructor will demonstrate each technique then the class will practice. Space is limited and registration is required; register online via the calendar (www.deschuteslibrary.org/calendar/). Lost to the past, for 33 years the residents of Bend staged the Mirror Pond Water Pageant, an impressive nighttime water parade of floats along the Deschutes River and Drake Park every Fourth of July. Discover the history of western pageantry and how this lost event helped put Bend on the map. Presenter Kelly Cannon-Miller is the Executive Director for the Deschutes Historical Museum located in Historic Reid School. Learn about Volcano Veggies, one of the world’s only certified organic indoor vertical aquaponic farms. Using 90% less water, Volcano Veggies grows the equivalent of two acres of lettuce in less than 200 square feet. But most importantly, their veggies taste delicious, are nutritious and last longer in your fridge. All year long, their lettuce and basil are freshly harvested and delivered directly to grocery stores in Central Oregon. Volcano Veggies looks forward to sharing their story and discussing the future of farming. Hear the story of how Whychus Creek was conserved and is slowly, but surely, coming back to life. Presenter Brad Chalfant, Executive Director of Deschutes Land Trust, shares the story of Whychus Creek’s rehabilitation. He will discuss the degraded, mid-‘90s condition of the creek and how a unique partnership is bringing it back to life. Since 1995, the Deschutes Land Trust has protected more than 9,085 acres for wildlife, scenic views, and local communities. Learn about the collaborative efforts of the Deschutes Partnership to restore steelhead habitat to 220 miles of Central Oregon streams. Representatives from the three partnering agencies that make up the Deschutes Partnership will highlight the collaborative efforts of the group to restore the habitat necessary to support the reintroduction of salmon and steelhead to 220 miles of Central Oregon streams. A nationally recognized model for collaboration, the collective efforts of the Deschutes Partnership have brought efficiency, focus and leverage to bear in increasing the pace and scale of watershed restoration work. .